Holly Smith is a consistent Long & Foster, Christies top producer and a 2018 member of Long & Foster's Gold Team Founder's Club, which recognizes her as one of Long & Foster's top producing and most successful sales associates. 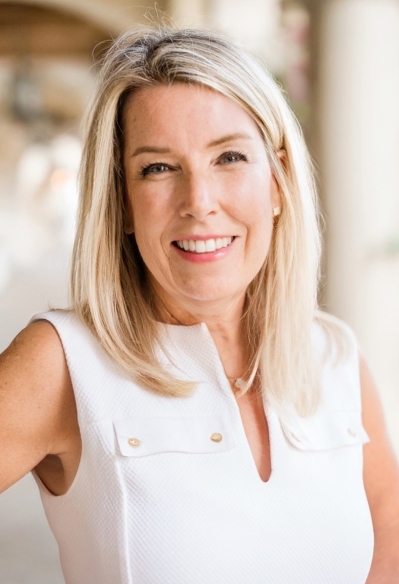 Holly was also named as a Top Residential Real Estate Producer by Washingtonian Magazine in 2018, 2017 and 2016, and by Bethesda Magazine in 2019. In 2019, Holly also received the GCAAR Gold Award from her Realtor association. Holly is a Certified Christies' International Real Estate Luxury Specialist and is a member of the ultra exclusive Long & Foster-Christies Luxury Alliance. This group is limited to 105 agents out 4,000+ total Long & Foster Agents and represents the best in luxury home buying and selling. The Luxury Alliance has a dedicated marketing team at headquarters which provides luxury marketing resources which are second to none. The members also haveprivate networking events throughout the year and a dedicated Facebook page. Holly specializes in Montgomery County Maryland, Northwest DC, and close-in Northern Virginia. She has built a solid reputation as a hardworking, responsive and professional agent. Holly is a native Washingtonian and third generation Realtor. She grew up in Montgomery County, Maryland and resides in Bethesda MD. She received a BS degree in business finance from Skidmore College and holds an MBA in marketing from The American University. Holly is a member of the Junior League of Washington, Gardeners of the Jr. League, Chevy Chase Historical Society, Historical Society of Washington, DC, Chevy Chase Women's Club, and Daughters of the American Revolution. She has been involved with the Norwood School, Holton-Arms School, Gettysburg College and Parsons, The New School.